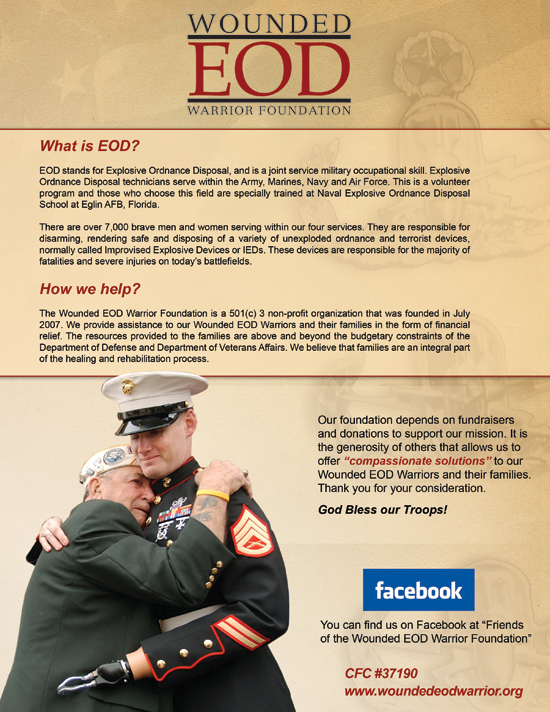 The Wounded EOD Warrior Foundation is a 501(c) 3 non-profit organization that provides assistance to our Wounded EOD Warriors and their families in the form of financial relief. The resources provided by the Foundation to the wounded and their families are above and beyond the budgetary constraints of the Department of Defense and Department of Veterans Affairs. We believe that families are an integral part of the healing and rehabilitation process and strive to keep them together during the most difficult of times.